Chuck Mataya has developed a focused practice of litigation and counseling in various areas of labor and employment law, including the defense of class, collective individual actions in both state and federal courts. 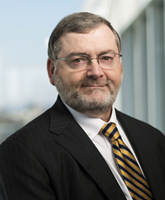 Chuck acts as a lead counsel for prominent employers throughout the United States in the counsel and defense of employment and labor claims, including claims of wrongful discharge, breach of an employment contract, illegal discrimination under the various federal and state laws, and myriad other areas of employment and labor law. These areas include issues and claims relating to the Occupational Safety and Health Act (“OSHA”) and related state statutes, the Fair Labor Standards Act (“FLSA”), the American with Disabilities Act (“ADA”), the Family Medical Leave Act (“FMLA”), the National Labor Relations Act (“NLRA”), the Public Contracts Act, and obligations and issues relating to Executive Order 11246, including affirmative action obligations and the defense of enforcement actions brought by the Office of Federal Contract Compliance Programs (“OFCCP”). Chuck represents clients in various industries, but over the last decade he has developed a concentration in the representation of employers in health care, government contracting, parking, and manufacturing. Chuck helps clients keep pace with changes and developments in labor and employment law. He is a frequent lecturer on topics related to labor/management relations, including the Americans with Disabilities Act, drug testing and privacy issues, the Fair Labor Standards Act, Anti-Harassment in the Workplace, Title VII, and discipline and discharge policies and procedures. Chuck is a member of the Alabama, Tennessee and American (Litigation Section) Bar Associations and the firm representative for the Rutherford County Chamber of Commerce. He has achievedMartindale-Hubbell®, AV-Preeminent, which means a lawyer's peers rank him at the highest level of professional excellence. He also was recently named to the Lawdragon 3000, a list that represents less than one percent of the legal profession. Chuck was included in Mid-South Super Lawyers for Employment & Labor, Nashville, 2012; Chambers USA for Labor & Employment, 2008-2009; and 2007's Nashville Business Journal's Best of the Bar publication for Employment & Labor.